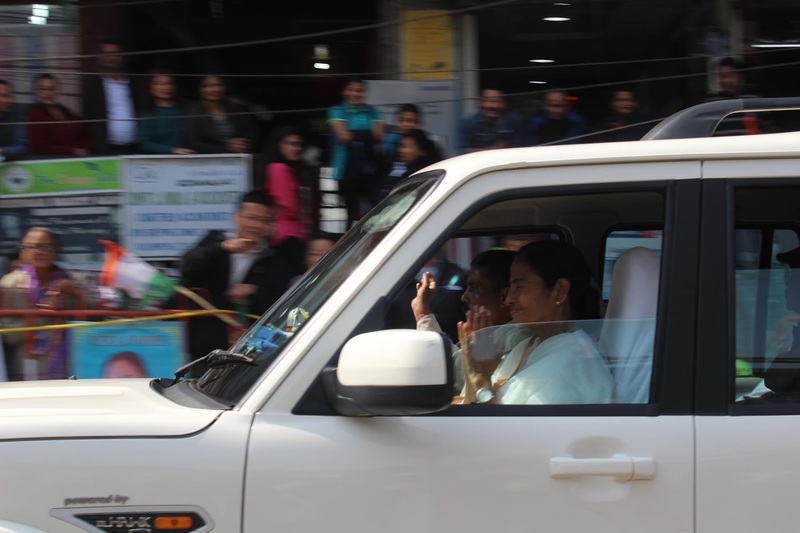 Chief minister Mamata Banerjee today left for Kolkata after a 4-day tour to Kalimpong. Amidst tight security, the chief minister's convoy left Kalimpong town, a new district headquarters, around 1 p,m today. People were very happy with the decision of Miss Banerjee for upgrading Kalimpong sub-division into a district while the chief minister announced allotments of Rs 50 crore to solve water crisis problem. Sumit Chettri, one of the local residents said, "We are thankful to the chief minister who is architect of a new Kalimpong district fulfilling a distant dream.We hope the state government will make it a beautiful district soon." 0 Respones to "CM leaves for Kolkata"